A week after rejecting a $670,000 deal to sell 11 lots to the Paterson Parking Authority, the city council on Thursday night reversed course. 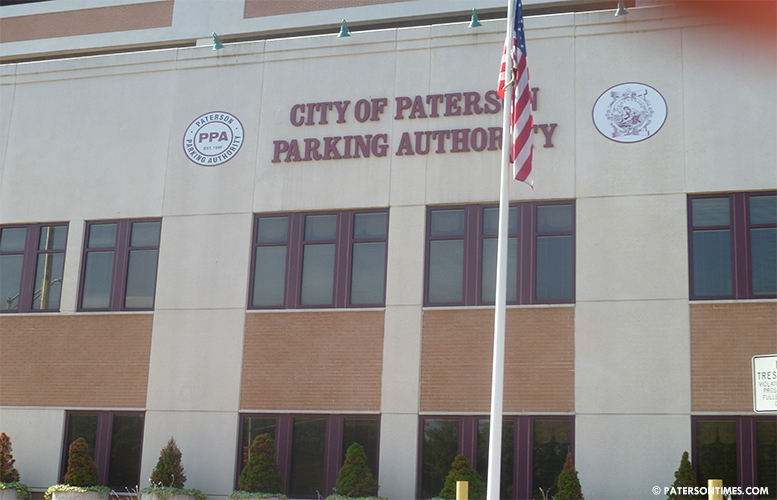 Council members preliminarily approved the sale of the lots at 10-19 Mill Street, 8 Ellison Street, and 26-46 McBride Avenue – combined 1.5-acre — following a presentation from Tony Perez, director of the Paterson Parking Authority. Perez argued his agency needs the lots which have a total of 140 parking spaces in order to secure financing and tax credits to build the parking deck on lower Market Street. He said prospects of getting financing is strengthened when he can show there’s already 140 customers for the proposed parking garage. Perez’s new parking deck will be built on land already owned by the authority. He estimated the new garage will be finished by late 2019 and early 2020. The new deck is to accommodate parking for visitors to the Great Falls. The lots being purchased from the city will then be leased or sold to developer to accommodate economic growth in the area, said Perez. Some council members were not swayed by his argument. Councilmen Kenneth Morris and Michael Jackson thought the price was too low. Morris suggested the authority pay $1.3 million to the city for the lots through a 30-year mortgage. He recognized anticipated revenue of $445,000 from the land sale was included in the fiscal 2018 budget. Morris suggested a down payment that would cover the revenue included in the budget. “Those numbers will not work for us. We can’t hold that type of debt. So, we’re going to have to walk away,” replied Perez. Perez as a counter offer suggested he is willing to provide the $34,000 in annual revenue the city has been collecting from the lots. “Personally, I don’t think it should change hands,” said Jackson, 1st Ward councilman. He said the city is being shortchanged by charging 88-cent per parking space through a lease with J.L. Abrams Associates for the Franklin Mills. If the city were to charge $5 per parking space, per day that would amount to $192,600 for the 107 spaces listed at the McBride Avenue lot. Jackson’s comments led to Morris suggesting the authority enter into a lease-purchase agreement with the city. “You can’t do that,” interjected business administrator Nellie Pou. She said state law does not allow for that sort of a sale. Perez did not favor the lease-purchase and wanted ownership of the lots. “We’re not valuing the fact that we have a partnership. We should have some trust in that partnership,” added William McKoy, 3rd Ward councilman. He said when the authority brings in more revenue, the city will receive more dollars from the agency. “The city gains over the long-term relationship,” said McKoy. The sale was given preliminary approval in a 6-2 vote. Council members Maritza Davila, Shahin Khalique, McKoy, Alex Mendez, Andre Sayegh, and Luis Velez voted in favor while Morris and Jackson voted against. Last week, the measure was rejected in a 4-4 vote. This week, Khalique and Mendez switched their votes in favor of the land sale. “I see this as a gimmick to plug the deficit,” said Morris during the vote. Indeed, the administration has pushed for the sale arguing without it the city will have a shortage of funds. Jackson criticized Velez, who presided over the meeting in absence of president Ruby Cotton, for rushing the process. A final vote and public hearing on the land sale is scheduled for Jun. 26, 2018 at 7 p.m. at City Hall.